When it's time to buy a new car, a test drive is necessary to ensure you find the right match. But, many drivers struggle to fully evaluate a vehicle in such a short amount of time. 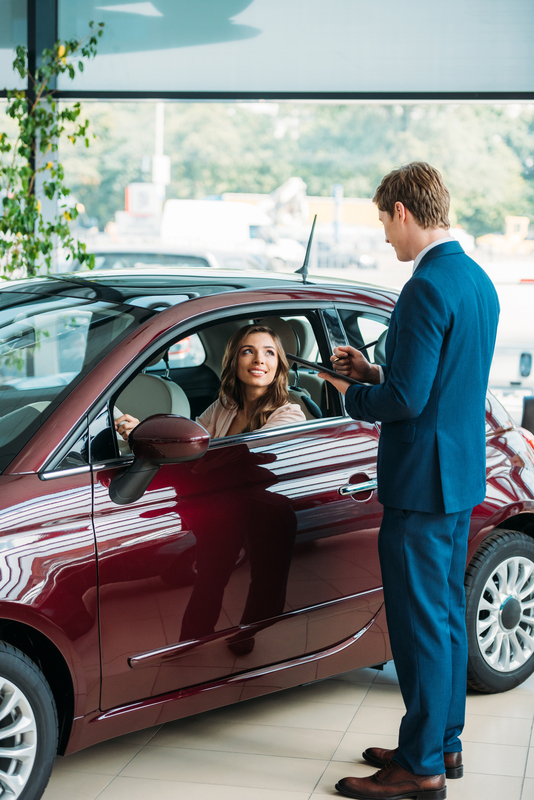 Thankfully, you can identify a great match or eliminate an option by focusing on the following five characteristics during your test drive. Every vehicle accelerates at different speeds based on the type and size of the engine, but you need to pay close attention to how the car reacts to hills. If the vehicle struggles with inclines, the engine has to work harder, and consequently, it uses more fuel. As a result, you're likely to face higher fuel costs over the course of your ownership. Without a responsive brake system, you put yourself at risk for injury and vehicle damage from not being able to stop quickly enough when obstacles appear. Along with safety concerns, slow brake reactions increase your potential out-of-pocket costs. Typically, the situation requires new pads, so you'll have to tack that expense onto your total investment. Whether you take cross-country trips or short daily commutes, comfort is vital for enjoyable journeys. Before you begin the test drive, adjust the seating to ensure you aren't straining to see the road or reach the peddles. While driving, review the quality of the suspension by taking notes on the smoothness of the ride, especially over uneven surfaces and speed bumps. Driving a new car shouldn't be a workout, which is why you need to consider how the vehicle handles. Evaluate how easily the steering wheel turns, as well as how much physical effort it requires from you, and pay close attention to sharp corners. Any struggle to correctly steer the vehicle will negatively impact your ability to park and safely navigate tight spots and corners. Not every driver needs modern technology to enjoy their drive time, but for many individuals, the added perks of smartphone connection through Bluetooth or an auxiliary cord provide an appreciated convenience. For example, if you travel quite a bit, then built-in or phone-powered GPS capabilities are ideal. Additionally, hands-free communication ensures a driver’s safety while allowing them to talk on the phone or answer text messages without ever taking their hands off the wheel. If you're in the market for a new car, truck, or SUV, turn to Jack Kain Ford in Versailles, KY. Since 1961, the family-owned Ford dealership has proudly served the needs of drivers across Woodford County with honest, friendly service and competitive pricing. Find the right new, used, or certified pre-owned vehicle for your needs by browsing their online inventory, then schedule a test drive today by calling (888) 685-1211. Other Announcements, Events and Deals from Jack Kain Ford Inc.
A. Jack Kain Ford Inc.